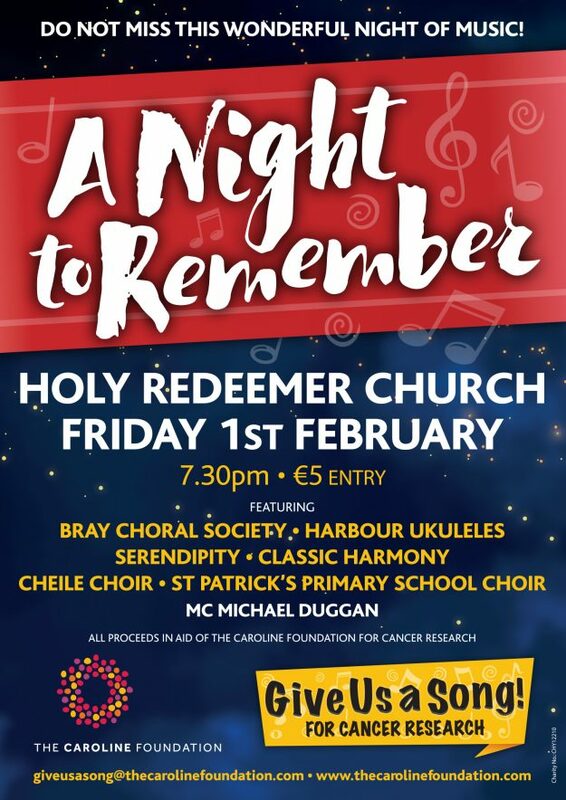 Join us on Friday 1st February for a night to remember for Give Us A Song in the Holy Redeemer Church in Bray. We will be joined by the Bray Choral Society, Harbour Ukuleles, Serendipity, Classic Harmony, Cheile Choir and St Patrick’s Primary School Choir. MC for the evening is Michael Duggan.